The nature which makes the life possible on Earth also have enough power to transform the world drastically. The unprecedented movement of Earth causes many of deadliest natural disasters like Earthquakes, Tsunamis, Volcanic eruptions and landslides. Followings are seven most dangerous natural disasters on Earth. 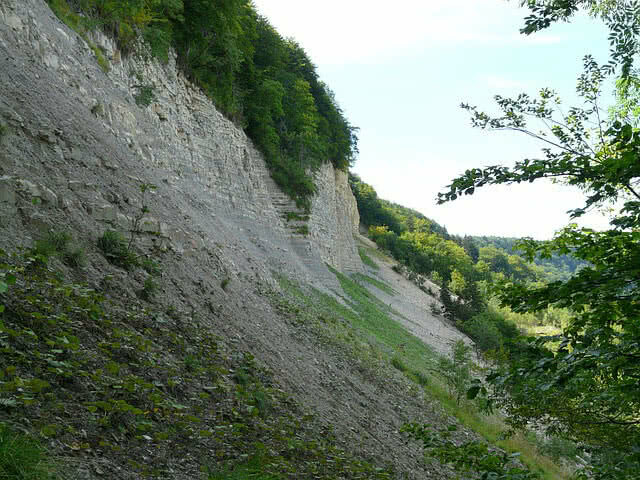 Landslides is a geological activity in which falling of rocks and soil occur down a slope of land. Heavy rains, small earthquakes , volcano eruptions and of course the gravitational force are the driving forces of landslide. The human activities like mining, construction and quarrying also cause landsliding. The movement of soil away from the actual foundation, sudden decrease in ground water level and cracking of ground are indication of landslides. Places where landslides exits in older times. Volcanoes are actually an opening from the inner part of Earth to the surface. Volcanic eruption emerges ashes, hot lava and poisonous gases. The convergence and divergence of tectonic plates under Earth which causes the formation of volcanoes. Mainly volcanoes are found in mid Atlantic and pacific ridge. A volcanic eruption happens when the pressure on magma chamber inside Earth increase and push magma to surface through volcanic vents. Volcanic eruptions will destroy the surrounding areas, aircrafts, also heaten up the atmosphere. 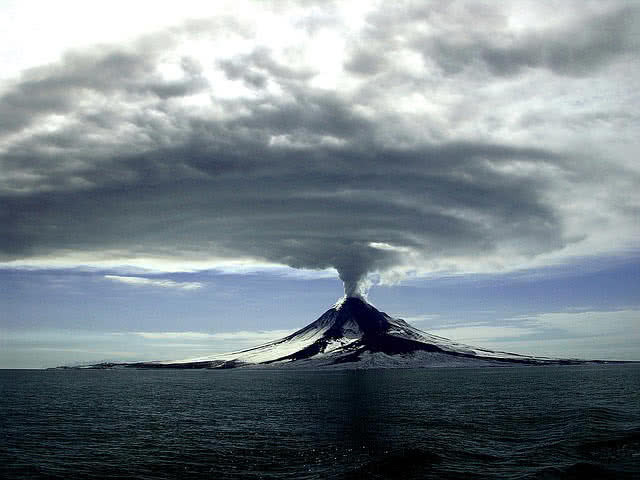 Volcanic tremor, small earthquake near volcano, ejection of steam and gases are the indication of volcanic eruptions. Tornadoes are strong, violently rotating air storm initiate from clouds to surface of earth. 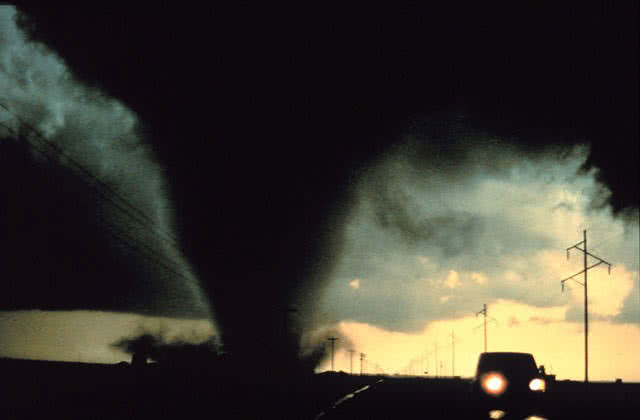 Some violent tornadoes achieve wind speed up to 300 miles per hour. Tornadoes are normally found in condensation funnel shape, also holds several shape depending on pressure of air. The thunder storms, mixing up of cold, moist air with hot air makes instability and violent tornadoes will form. Tornadoes have enough power to destroy the entire city and uproot trees. Such violent storm can be found within all continents except Antarctica. Tornado alley (region that covers North Texas, Oklahoma, Kansas and Nebraska) is the most tornado-prone area in the world. Lightning is natural formation of electricity and flows through air like a flash. Due to the collision between ice gained cloud formation of charges will take place at beneath of clouds, once charge concentrate at any point on earth a sudden flow of electricity will pass. It can be mountains, trees, animals or humans. Lightning have temperature up to 54000 degree Fahrenheit, approximately six times hotter than surface of Sun. 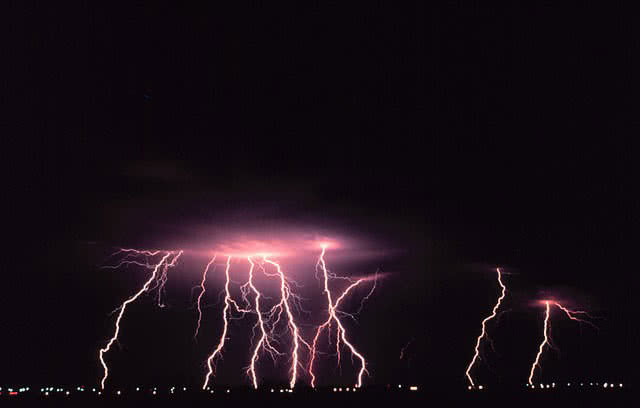 There are 100 lightning strikes in every second on Earth that have enough power to destroy everything within no time. The presence of dark clouds in the sky is the indication of lightning, thunders also sounds this disaster. Lightning mainly hits in the areas where instability of environment, variation of temperate or pressure occurs. 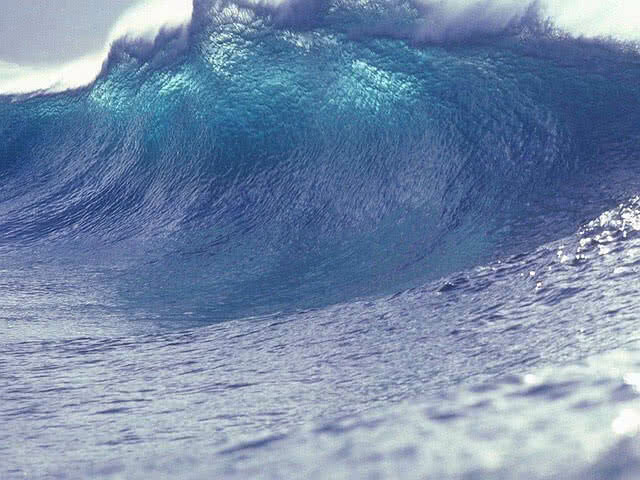 Tsunamis or tidal waves formed due to the Earthquakes, volcanic eruption or other form of disturbance in oceans. Tsunami tides have heights of hundreds of meters and large wavelength. Such tidal waves will travel thousands of miles and mainly hits coastal areas. Tsunamis have greater speed at deep water in ocean. The speed decreases as it approaches coastal areas but have greater height. The retrieval of waves is the main indication of Tsunamis. Hurricanes are powerful rapidly rotating storm system mainly hit over tropical seas. 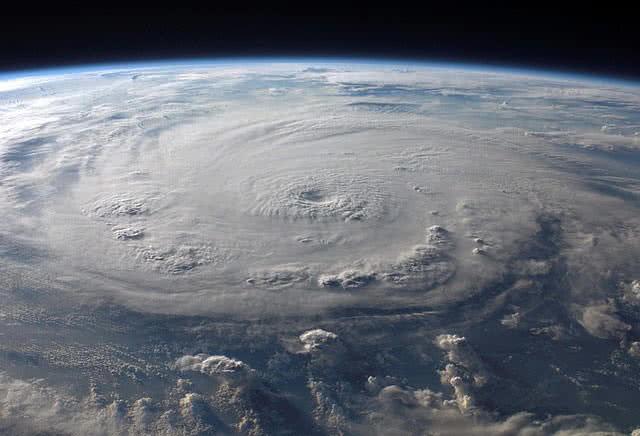 Hurricanes are also called as typhoon, cyclone collectively known as tropical cyclones. Hurricanes will spread across 600 miles rotate inward and upward at 70 to 200 miles per hour speed. Hurricanes are formed where ocean water with temperate above 80 degree F and wind blows in same direction that of upward force. The evaporation from sea water also increases the force of hurricane. But no such hurricanes hit lands with same power as it gained from source, have enough power to generate heavy rain, high waves an strong winds. 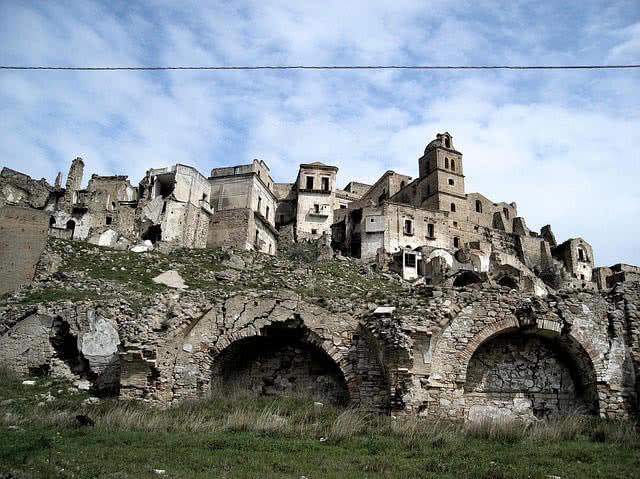 Earthquakes are one of the most dangerous disasters ever faced by the human. Earth’s surface holds number of plates called tectonic. Such plates have rough edges and they always keep moving and slide over each other. As the tectonic plate surface have faults the gets stuck while sliding and remaining parts keeps moving. Whenever the force of these plates overcomes the friction the energy gets released in the form of seismic waves and shakes the outer world.ere are thousands of earthquakes happens across the world everyday. But most of them are too small to be detect and some have the power to destroy everything. Seismometers is the instrument used to measure the seismic waves produced by earthquakes. The intensity or magnitude earthquakes are measured by ritcher scales, magnitude 3 or lower earthquakes are very weak in nature, magnitude 7 or higher have power to destroy the entire city. Scientists can’t predict the Earthquakes, when it comes or where it hits.